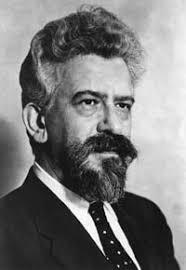 In this three part class Rabbi Raskin will examine the life and works of Rabbi Abraham Joshua Heschel, widely considered to be one of the greatest American religious figures of the 20th century. He was a rabbi, theologian, mystic and social activist who was involved in the civil rights movement and anti-Vietnam War movement. Heschel is a widely read Jewish theologian whose most influential works include Man Is Not Alone, God in Search of Man, The Sabbath, and The Prophets. At the Vatican Council II, as the representative of American Jews, Rabbi Heschel persuaded the Catholic Church to eliminate or modify passages in its liturgy that demeaned the Jews, or referred to an expected conversion to Christianity.